"When you play the game of thrones, you win or you die. There is no middle ground." 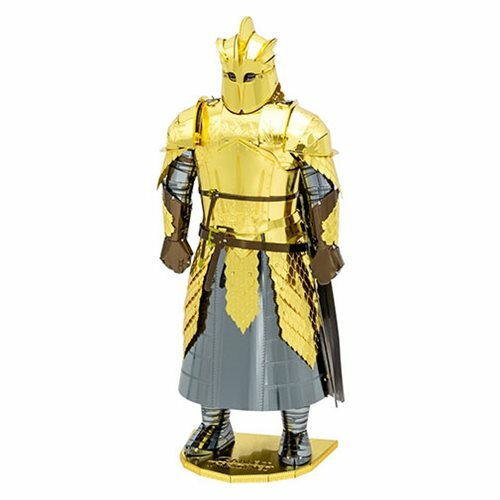 Based off the hit HBO's television series Game of Thrones!, fans can assemble The Mountain's iconic suit of armor! These amazingly detailed DIY models start as 4-inch square steel sheets and finish as amazing 3-D models. Use the easy-to-follow instructions included with the sheet to pop out the pieces, bend the tabs, and connect them at the attachment points! This Game of Thrones The Mountain Iconx Model Kit comes with 2 sheets.